Virtual races are not eligible for return or exchange. Free Economy Shipping To Customers in the Contiguous United States. Achilles International provides a community of support to athletes with disabilities. Able-bodied volunteers and disabled runners come together to train in an environment of support and community. Within this community, runners gain measurable physical strength and build confidence through their sense of accomplishment. Please read about the great success of the foundation at achillesinternational.orgopens a new window. 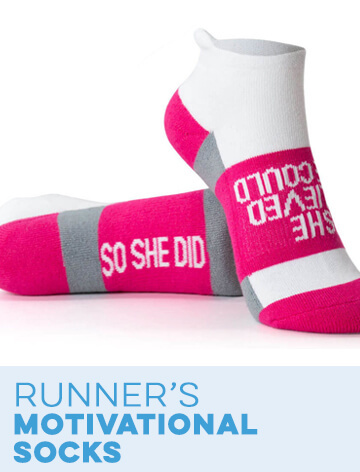 The Gone For a Run Half Marathon Challenge is a Virtual Race like no other - we train you, encourage you, celebrate you along the way to your half marathon finish line with this progressive 13.1 mile challenge. 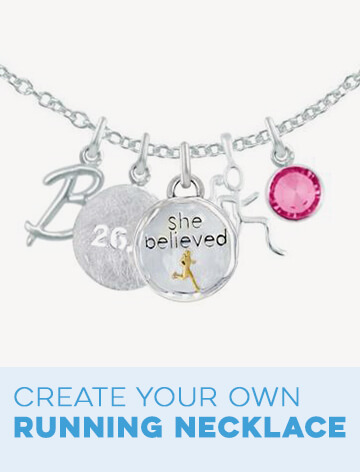 Every step of the way you have coaching and support as you reach each Milestone in this progressive half marathon. As you complete each Milestone (5k, 10k, 10 Miles, 13.1 Miles) you add the magnetic distance token to your Half Marathon Challenge Medal. Look for our email about an hour after your purchase for full instructions. I acknowledge that I have read and accepted the race waiver TERMS & CONDITIONS. 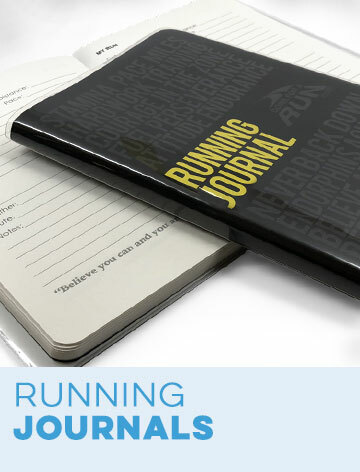 This runner's journal is a running log, a motivational tool and a catalog of your training, your goals and your achievements. 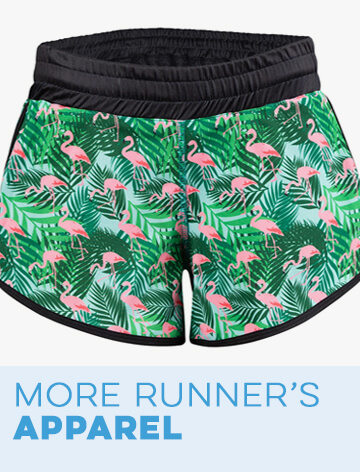 Our lightweight blue runner's pocket hat is made from moisture-wicking tech fabric for comfort and has two zippered side pockets for carrying money and ID (and other important items) on runs. Our unique aluminum 5" X 7" desk art prints are the perfect room or desk decor for any runner, they also make for great gift for any occasion. 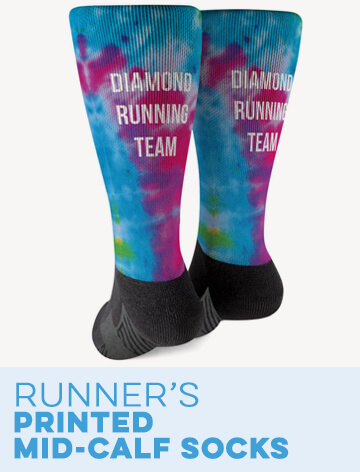 The desk art is lightweight and perfect for any desk to give you that extra running motivation to get you through the day. 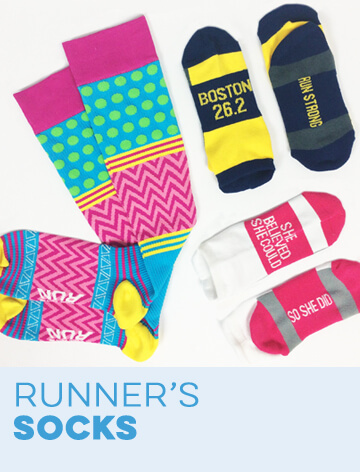 These high quality performance socks are designed with arch support and cushioning to pad the contours of your feet. It's perfect for all your essentials like make-up, jewelry, keys, pens etc. The 13.1 design is featured on both sides and a detailed gold plated runner girl zipper pull tops off this 'must have' bag. With a capacity of a full 11 oz., it is both microwave and dishwasher safe. Whether the favorite beverage is coffee, tea or something else, at home or work, morning, afternoon or evening, it will become the mug of choice. Rated 5 out of 5 by Leslie from Half marathon challenge Really enjoying this challenge and the support you get from others in our FB group. 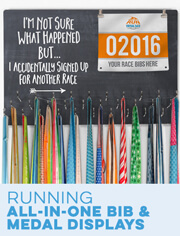 Highly recommend this virtual race. Shirt does run small if you get the women’s. I’m a small and ordered a large. Fits perfect. Rated 5 out of 5 by MelHall from Great Motivation for the Year! I am actually moving backwards & started with a half marathon, then 10 miler, then 10K, then 5K. 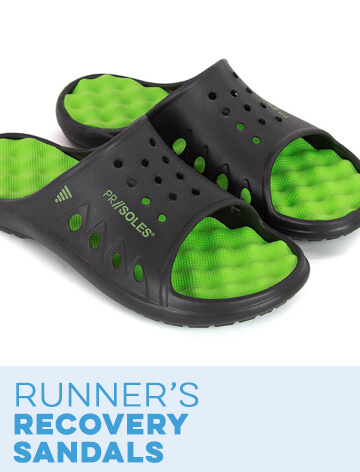 It is keeping me motivated to run year round. Rated 4 out of 5 by cold2345 from Great shirt and medal I love the idea to run the 4 different races and the quality of the shirt and medal are great. Only reason I gave a 4 and not a 5 is I have not figured out how to record when I complete a distance. I don’t use facebook so I don’t know what the other options are in recording. Rated 5 out of 5 by Wendy from Love the Challenge idea Bought this with a group of ladies to do over the summer. We are planning it out, and excited to get those miles in. Shirt and medal are of good quality. Rated 5 out of 5 by morning runner from Great Medal I bought this awhile ago and just competed it last week. Liked having the ability to run at my own pace and time. Rated 5 out of 5 by Heidi from Interactive fun The interactive pieces motivate me to progress in my running! Virtual Race - Half Marathon Challenge is rated 4.8 out of 5 by 6. The half marathon challenge is an ongoing virtual race. There are 4 different distances/milestones for you to reach anywhere, anytime! When you place your order and receive your packet, you will also get access to our Facebook page full of plans and helpful tips for you to reach your goal. Can you do this if you are not a user of Facebook? Absolutely! You can keep track of your progress on your own until the 4 milestones have been reached. The benefit to following us on Facebook is the training plans and guides we provide. Our Half Marathon Challenge is an ongoing program so there is no end date. Tthe half marathon challenge is a progressive race challenge that includes training plans and coaching to complete four race distances: 5k then a 10k then 10 miles and finally a half marathon. Also included with the training plans and coaching is the medal, swag and access to our private half marathon challenge Facebook group that gives you access to exclusive tips and training.. access to Coach Guy and our community of other runners in the half marathon challenge! Absolutely! 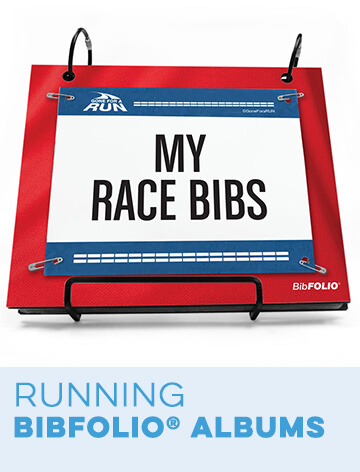 The distances can be run at your leisure to help prepare for your upcoming race. We do offer Blue Unisex tees for this race. When you click the apparel drop down, the unisex size options will be towards the bottom. You can take as long as you need to complete each segment, whether you run or walk, but the training program is for a period of 16 weeks. I registered for the Half Marathon Challenge and would like to be able to access the trailing information and ask the coaches. I have nothing in my packet that shows access to theses items. You should have received an email about an hour after you placed your order for full instructions to download the training programs. 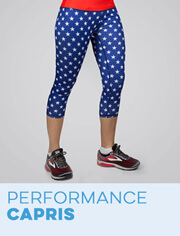 Please check your email and spam, and if you did not receive it send an email to our Customer Service Team at support@goneforarun.com for assistance.